Why have we not convicted this guy yet? They call him a "suspect"? I know there is due process, but this was ages ago. This guy should be gargling some other guy's sperm in the shower by now, not attacking guards. Why is that idiot schlepping around a dayroom? He should be in solitary confinement. People are thrown there for small infractions. 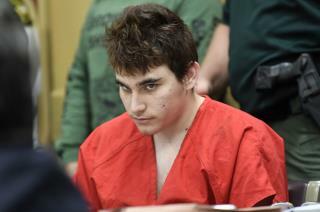 So far, there is enough evidence that he killed 17 people, enough for an administrative action to protect the prison population, as well as the guards. Throw him where he belongs. BROWARD COUNTY, FL? huh. figures!